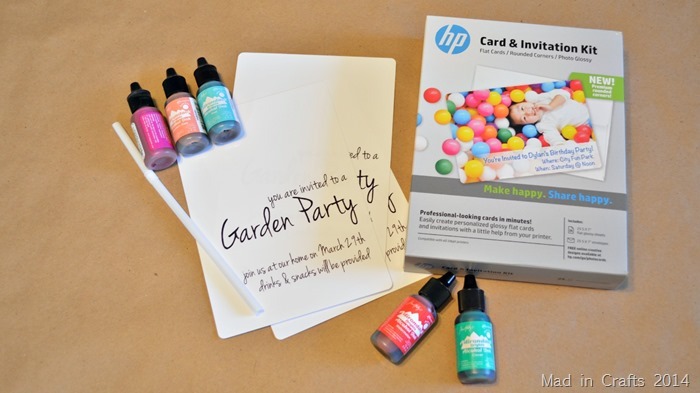 I am serving as a brand ambassador for HP’s MyPrintly website. I was compensated for my work, but the opinions below are 100% my own. Last month I showed you how to use alcohol inks to create beautiful patterns on glass egg ornaments. I used a similar technique to create splashes of color on party invitations. 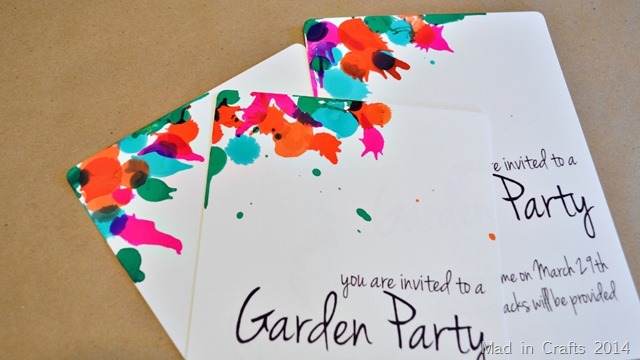 These invites are perfect for Spring and Summer parties, from Mother’s Day brunches to summer weddings! HP will soon be selling their glossy invitations with rounded corners, which give them a very professional finished look. 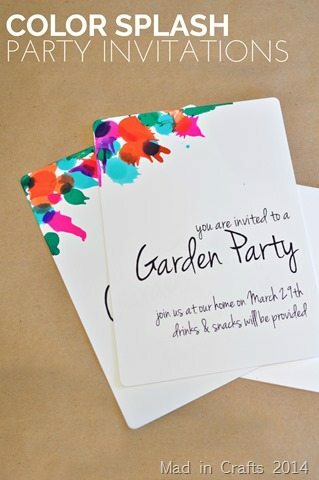 I used alcohol ink and a drinking straw to create the splash patterns on invitations I printed at home. Check out MyPrintly for the instructions and video demonstration of the process. Several other bloggers have been creating fun projects for the MyPrintly site, so be sure to poke around for more creative inspiration.